Sparco Footrest - Naviga UNIVERSAL - MiataRoadster - Stay tuned with MiataRoadster! The Naviga footrest and mat are constructed of lightweight aluminum designed specifically for the passenger seat. It features a polished finish with horizontal slits and a die cut Sparco logo. 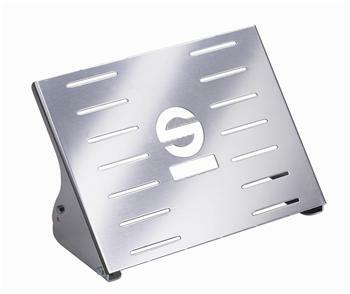 The Naviga footrest can be used alone or in conjunction with the predrilled mat.